Burton states categorically “Without the Nights no Arabian Nights” (1885, 1: xiii), and denounces his predecessors for not retaining the full machinery of this punctuation to each stage of the narrative. But doesn't it really mean something more like “forever and a day” – infinity plus one – a figure of speech taken literally by later copyists, rather than the original authors (whoever they may have been) of the collection? Perhaps the essence of the matter is that it's a self-fulfilling prophecy. Whatever the figure meant originally, it was inevitable that it would eventually be taken literally. One might go so far as to say that “No statement can be made about it whose opposite is not equally true.” Welcome to looking-glass land! So what is the Thousand and One Nights? A book, or many books? Generally when you talk about a book, you tend to think in terms of the text you're reading, the author (or authors) who wrote that text, and the era in which it was written. The French historian Taine told us to preface any literary-critical account of a book with an examination of “l’homme, le moment, le milieu.” That's precisely what we can't do in this case. Why not? Presumably it has those things – an author and an era. It must have a text, or we wouldn’t be able to read it. Nobody knows who wrote The Thousand and One Nights. Lane, in 1839, attributed it to an Egyptian author of the sixteenth century ; René Khawam, in 1986, revised this to a Central Asian story-teller on the ancient Silk Route ; Burton, however, states baldly that “The author is unknown for the best reason; there never was one.” (1885, 10: 94). Clearly the different stories, like Grimm’s Kinder- und Hausmärchen, have many different authors. The divergences in language and topical references put this beyond dispute. Just as clearly, the frame-story must have been used for the very first time by someone, somewhere, to collect a group of stories. Probably it was in Persia, but quite likely the resultant collection contained none of the stories which we are accustomed to see in collections of the Thousand and One Nights. Nobody knows when the Nights were written. The earliest fragment of Arabic manuscript with the names of Sharyar and Shahrazad inscribed on it dates from the ninth century . This, however, would appear to come from an Arabic translation of a Persian original which has not survived. Many (perhaps most) of the stories are later than this – though the references in them to dateable commodities like coffee and gunpowder might have been added by later copyists. The oldest substantial manuscript (used by Antoine Galland for his French translation – the first into any European language) dates from the fourteenth century, but the first complete printed edition in Arabic did not appear until 1835. Almost certainly the origins of the collection are pre-Hegira, but the book that we have is so thoroughly imbued with the Islamic spirit that this original can only really be thought of as an Ur-Nights. So, contradicting Taine’s prescription: pas d’homme, pas de moment, pas de milieu: No man, no moment, no milieu. Nobody knows where the Nights come from. 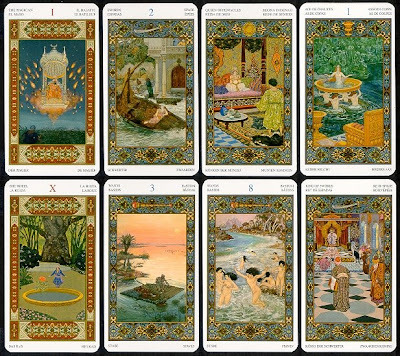 The frame-story – quite possibly the sole substantial link between the Persian Thousand Nights and the Arabic Thousand and One Nights – has been shown to have Sanskrit analogues, which suggests an Indian origin. Enno Littmann detects Persian, Iraqi, Syrian, and Egyptian levels in the complete work, but there no real consensus on which stories belong to which levels . The later storytellers tend to imitate the earlier ones, which makes it harder to apply such criteria. One should add as a corollary that there was a tendency among nineteenth-century critics to attribute anything of real substance to India, seen by them as the ancient mother of Aryan culture . Persians and Arabs were typed as mere transmitters of material inherited from, on the one hand, India, and, on the other hand, Greece. Nobody has yet suggested an unequivocal criterion for telling which stories should legitimately be included in the collection, and which are spurious interpolations. Though translators and editors continue to place their faith in different texts and textual traditions, the one thing we can say for certain is that no two versions are ever exactly the same. What you're describing is a state of utter chaos. If there’s no fixed text, no author, and no era, how can we regard the Nights as a work of literature? 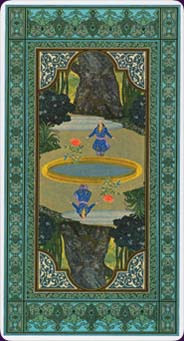 I did mention earlier that everything about the Thousand and One Nights is paradoxical. “No single statement can be made about the Nights which does not require immediate qualification,” I said above, and then there's the variation on that: “No statement can be made about the Nights whose opposite is not equally true”? Let’s run through our checklist again, then. There is a fixed text of the Thousand and One Nights. Or, rather, there are two. The first is Antoine Galland’s manuscript, the oldest ever found of the collection, which has recently been edited and published in full for the first time by Muhsin Mahdi (1995). 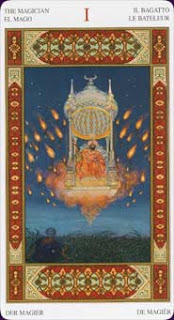 This is generally referred to as the Syrian text of the Nights. No doubt it originated in Iraq, but Galland’s incomplete copy came from modern Lebanon. It forms the basis of only the first half of Galland’s classic translation. 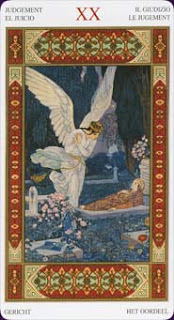 The second, Egyptian text, is referred to under various other names, notably as the “Vulgate” – by analogy with the Vulgate French text of the Arthurian romances, the cycle of prose stories used by Malory when he was translating / writing the Morte d’Arthur. It is also called “Z.E.R.” (standing for Zotenberg’s Egyptian Recension), as the existence of this textual tradition was first pointed out by Hermann Zotenberg in his Notice sur quelques manuscrits des Mille et une nuits et la traduction de Galland (1888). It is a very full text of the collection, compiled at some point after 1500 in Cairo - Mahdi puts it as late as 1775 (1995, p. 100) - and it forms the basis both of the Bulaq and Macnaghten editions of the Arabic. It is true that much doubt has been thrown on its authority by Mahdi, who has demonstrated that this syncretic Egyptian text has been in some ways influenced by Galland himself, but that does not alter the fact that this Vulgate text has a kind of traditional authority through its very fullness which is virtually independent of questions of ultimate authority. [On the one hand, there are all those which reproduce, more or less, the model which we have just been outlining …: such is Bahgdad, little known otherwise, so far away has it become on the map as well as in memory, that it hardly offers us any details in the way of place-names, besides that of the city itself, with the exception of the name of the great market al-Kharkh on the right bank of the Tigris, on the borders of the first royal domain. On the other hand, there are cities better known in their details, Mecca and Medina, and above all Cairo, an ever-lively place, a place where a good many of the stories take place and which gives a good deal of space to specialised place-names: the pyramids, the Nile, Lake Karun. .. a good deal of information, we can see, taken from a still-living city or whose memory is active, just outside the door I should say, by comparison with the prestigious but ancient Baghdad, the capital of a dead or almost-defunct past]. One shouldn't be surprised to discover that the authors of the stories in the “Egyptian Recension” of the Nights knew more details about the topography of Cairo than of far-off, fallen Baghdad; but it's interesting to have the “imaginary” and “real” put in their places with such precision. They may claim to be writing about Baghdad or Persia or the Isles of Camphor, but it was actually the Mediterranean coast and the Red Sea which were there in front of their eyes. Coming back to the author, finally: We have one, of course; we have Scheherazade. Before you accuse me of frivolity, consider the closest analogy we have to the text of Nights – the Bible. This book has no single author (with the possible exception of God), no single known point of origin, even for the individual books; no single language or culture – no consensus, finally, on what should and should not be included in the text. What makes the Bible more than just the anthology of ancient Hebrew literature it has often been called is the presence of a common theme - the history of man’s relations with God, and also (through the idea of divine revelation) a common implied author in the person of the Almighty. Just as the Angel Gabriel dictated the Koran to Muhammad, and he to his followers, so the God of the Old and New Testaments was forced to rely on earthly means of transmission for the texts he inspired. 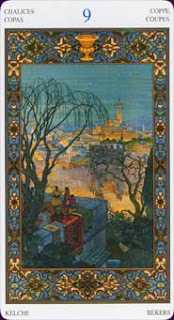 Is Scheherazade any less the author of the Nights than Charles Dickens of Household Words, for example? Nothing can be inserted in the text without some sense of its appropriateness or inappropriateness in her mouth – she is, in short, a kind of gatekeeper or editor. It is not that she composed all the texts (that is a claim never made in any version), but she is their editor and transmitter. Dickens did write (though he left them unsigned) many of the articles in his weekly paper, but the mere fact of leaving them unsigned made all of it somehow his work. All of it – and none of it – at the same time. So there is a fixed text (or two), there is a milieu (various different contexts, in fact), and there is a kind of Platonic idea of an author hovering above this very eclectic text. Two questions arise from that: Which is the best version to read for someone with a finite amount of time? and, how can one seriously study a book with such indefinite antecedents? In other words, it depends what you want to read the book for. If you want a book of romances and fairy-stories, a version descended from Galland’s 17th-century French translation is still the best one to read – it is the basis for most of the children’s versions even now. If you want to understand the cultural and historical background, and yet still be shielded from the eroticism and violence of the complete work, Lane’s 1839 translation is an excellent compromise. If you want the text of the complete work with minimal editorial interference, there is Payne’s admirably clear 1882-84 translation. This has not yet been superseded in English, but in German there is now Enno Littmann’s scrupulously complete though largely unannotated translation (1976), and in Italian there is Gabrieli’s complete translation of the Bulaq text (1972). Finally, there is Burton’s very full, very eccentrically written, and absolutely uncastrated version of the complete work. If you can accustom yourself to his strange archaisms, and are at all curious about the highways and byways of Eastern life, this is the one to read. One should remark in advance, though, that Burton’s annotations have a tendency to overshadow his text at times. So I should read Burton? Well, not necessarily. There are at least two other versions to consider. First, there is Dr. J. C. Mardrus’s 1899-1904 French translation, which claimed to be “literal and complete,” but which actually combines freedom of interpretation with textual inaccuracy to a bewildering degree. The English version of this, by Edward Powys Mathers (1972), is quite possibly the most entertaining (though certainly the least trustworthy) “complete” version on the market. Mathers turns Mardrus’s French prose dithyrambs into beautiful little English verses, so it really is most attractive to read. Secondly, there are a number of worthwhile selections and partial translations. There's J. A. Dawood’s (1982) Penguin translation of selected stories from Bulaq; there is A. J. Arberry’s (1953) similarly small selection, and now there is Husain Haddawy’s (1992) translation of Muhsin Mahdi’s edition of the Galland Ms. This is the most important recent version in English, as it includes the whole of the three surviving volumes of Galland’s original manuscript. Haddawy has supplemented it (1995) with another volume of selections from the whole text, which rather obscures the purpose of the exercise, but that’s a small criticism. So I should read Burton for completeness, Mardrus-Mathers for entertainment, and Haddawy for authority? Basically, yes. Lane (1839-41) is still worth it for the illustrations and the notes, and Galland (1975) is a classic which will never be superseded, but there are no other versions in English which one really has to worry about. It actually takes quite a long time to read any of them. Will it be of any use to me beyond entertainment? Can I use it to illustrate my reading of The Canterbury Tales or The Decameron or any of the other great framed story-collections? Well, only with difficulty, I’m afraid. In fact, in a 1983 PMLA article on “Chaucer and the Arabic Frame Tradition,” Katherine Slater Gittes refuses even to include the collection in her argument because of this uncertainty of status. This is understandable , given the lack of a fixed text, author, and unified linguistic or cultural context. One solution is, of course, the old Comparative Literature standbys of Origin Studies and Influence Studies. The first consists of combing the archives for further clues to the semi-mythical ‘point/s of origin’ of the Thousand and One Nights. The second involves studying the influence of the collection on various cultures, literatures, and authors. Both of these pursuits are extremely worthwhile, but they do rather evade the point. The Arabian Nights’ Entertainments – profoundly mutated translation from a lost original - can scarcely be said to have a point of origin, so it seems a trifle dubious to try and manufacture one. The influence of the book can be studied, certainly, but if there is no single artefact under discussion, it becomes a bit hard to distinguish the study from that of popular culture images of Arabic life in general. My own solution is to say that the Thousand and One Nights is a book because we think of it as a book. 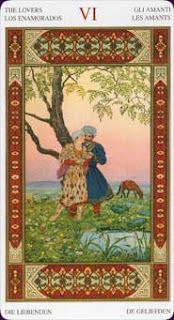 It is unified by the presence of the narrator Scheherazade, and consists of a library of all the stories which she has ever uttered – in whatever language (given that her original tongue was Persian rather than Arabic, there seems little reason to privilege Eastern versions over the European texts descended from Galland), at whatever time. Try thinking of it as Scheherazade’s web, and the fact that the centre of this web enshrines a fictional character should be seen simply as a accident of fortune. We ourselves inhabit flux, a flux patterned by our own life-myths, and that is the character of this book also. The advantage of this definition is that it frees us to consider the book in a multitude of ways. We can look at the patterning of its stories, we can examine its reflection of various strands of Middle-Eastern history, we can look at its influence on European writers and travellers – those who sought to imitate it, and those who tried to find it, intact, somewhere on earth (like Sir John Mandeville anatomising the Earthly Paradise). Rather than making a defect of its qualities, we ought to revel in its protean nature. Abbott, Nabia. (1949). “A Ninth-Century Fragment of the ‘Thousand Nights.’” Journal of Near-Eastern Studies 8: 129-64. Arberry, A. J., trans. (1953). 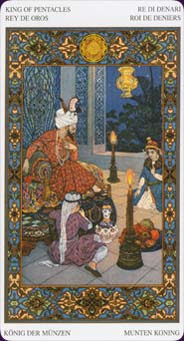 Scheherazade: Tales from the Thousand and One Nights. London: Allen and Unwin. Burton, Richard F, trans. (1885). 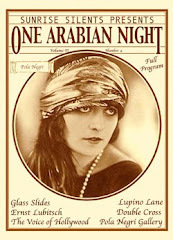 A Plain and Literal Translation of The Arabian Nights’ Entertainments, Now Entituled The Book of the Thousand Nights and a Night: With Introduction, Explanatory Notes on the Manners and Customs of Moslem Men and a Terminal Essay upon the History of the Nights. 10 vols. Benares [= Stoke-Newington]: Kamashastra Society, 1885. N.p. 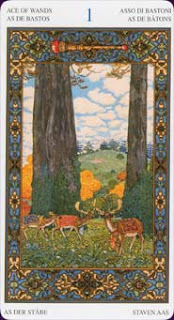 [= Boston]: The Burton Club, n.d.
Burton, Richard F., trans. (1886-88). Supplemental Nights to the Book of the Thousand Nights and a Night with Notes Anthropological and Explanatory. 6 vols. Benares [= Stoke-Newington]: Kamashastra Society, 1886-88. 7 vols. N.p. [= Boston]: The Burton Club, n.d.
Dawood, N. J., trans. (1982). Tales from the Thousand and One Nights. 1954-57. 2nd ed. 1973. Harmondsworth: Penguin. Gabrieli, Francesco, ed. (1972). Le mille e una notte: Prima versione integrale dall’arabo. Trans. Francesco Gabrieli, Antonio Cesaro, Constantino Pansera, Umberto Rizzitano and Virginia Vacca. 1948. Gli struzzi 35. 4 vols. Torino: Einaudi. Galland, Antoine, trans. (1975). Les Mille et Une Nuits: Contes arabes traduits par Galland. 12 vols. 1704-17. Ed. Gaston Picard. 2 vols. 1960. Paris: Garnier. Gittes, Katharine Slater. (1983). “The Canterbury Tales and the Arabic Frame Tradition.” PMLA 98: 237-51. Haddawy, Husain, trans. (1992). The Arabian Nights: Based on the Text of the Fourteenth-Century Syrian Manuscript edited by Muhsin Mahdi. 1990. Everyman’s Library 87. London: David Campbell. Haddawy, Husain, trans. (1995). The Arabian Nights II: Sindbad and Other Popular Stories. New York: W. W. Norton & Co.
Khawam, René R., trans. (1989). Les Mille et une nuits. 4 vols. 1965-67. 2nd ed. 1986. Paris: Presses Pocket. Lane, Edward William, trans. (1839-41). The Thousand and One Nights, Commonly Called, in England, The Arabian Nights’ Entertainments. A New Translation from the Arabic, with Copious Notes. 3 vols. London: Charles Knight. Littmann, Enno, trans. (1976). Die Erzählungen aus den Tausendundein Nächten: Vollständige deutsche Ausgabe in zwölf Teilbänden zum ersten mal nach dem arabischen Urtext der Calcuttaer Ausgabe aus dem Jahre 1839 übertragen von Enno Littmann. 1921-28. 2nd ed. 1953. 6 vols in 12. Frankfurt am Main: Insel Verlag. Mahdi, Muhsin. (1995). The Thousand and One Nights. Leiden: E. J. Brill. Mardrus, Dr. J. C., trans. (1989). Le Livre des Mille et une Nuits. 16 vols. Paris: Édition de la Revue blanche, 1899-1904. Ed. Marc Fumaroli. 2 vols. Paris: Laffont. Mathers, E. Powys, trans. (1972). 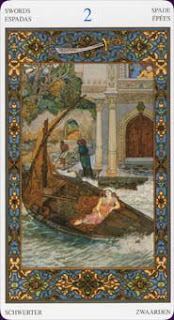 The Book of the Thousand Nights and One Night: Rendered into English from the Literal and Complete French Translation of Dr. J. C. Mardrus. 4 vols. 1949. 2nd ed. 1964. London: Routledge and Kegan Paul. Miquel, André, ed. (1991). Les Dames de Bagdad: Conte des Mille et une nuits. Paris: Desjonquères. Payne, John, trans. (1882-84). The Book of the Thousand Nights and One Night; Now First Completely Done into English Prose and Verse, from the Original Arabic. 9 vols. London: Villon Society. Zotenberg, Hermann. (1888). Histoire d’Alâ al-Din ou La Lampe Merveilleuse: Texte Arabe publié avec une notice sur quelques manuscrits des Mille et une nuits. Paris; Imprimerie Nationale.